EDMI exhibited at European Utility Week in Amsterdam from 4th-6th November. 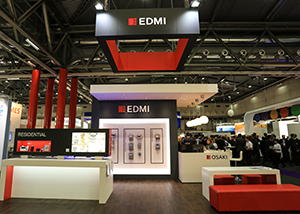 The annual exhibition is one of the biggest metering events in the world and provided an opportunity for EDMI to showcase our products and solutions to a wide audience of industry professionals. The stand incorporated product displays and four demonstration areas, including residential and gas metering; our power line communications solution, based on the broadband power line networking technology by HomePlug Green PHY (GP); and the RF network platform with SilverSpring Networks, deployed in Singapore. 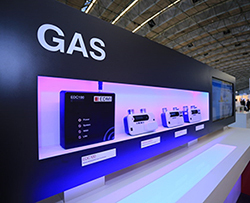 The Ultrasonic Smart Gas Meter held the limelight at the show, on the back of EDMI’s announcement of its first smart gas deployment in Italy. 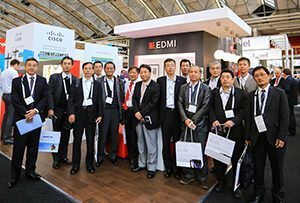 During the 3-day event, EDMI welcomed guests from all over the world and shared EDMI’s innovation and vision for the next generation of smart Electricity and Gas metering solutions.